Come spend time in our newly renovated Summer Kitchen and learn the basics of making white yeast bread with the added advantage of tasting bread baked in an authentic German type wood fired brick Squirrel Tail oven. On Thursday, November 17 from 6 to 8 p.m., we’ll provide a general introduction to bread ingredients – yeast, flour, water, salt, and make dough for you to take home. 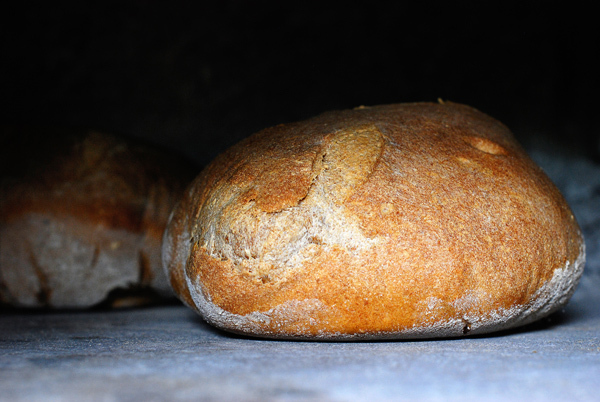 We will bake dough that was started in both types of ovens – brick and conventional, talk about the no knead dough recipes, eat bread and enjoy conversation. You’ll take home your own loaf of bread dough with recipe and instructions. Class will be led by Ellen Gibb and Gary Jones. Ellen and Gary are Horn Farm Center Board Members, long-time volunteers, and the driving force behind our Squirrel Tail Oven and Summer Kitchen revitalization project. The Horn Farm Center is a leader in the field of regenerative agriculture. We build community resilience by demonstrating holistic land management practices that provide food along with ecological and economic benefits.